The Smoothie King menu is packed full of tasty and healthy beverages, and the Smoothie King secret menu can provide a few hidden extras. In this guide we’ll take a look at this healthy beverage brand in full, telling you all you ever wanted to know and more. Smoothie King has been in operation for decades. And while it may not have the sort of reach that is enjoyed by Orange Julius or Jamba Juice, this is still a great place to grab something healthy and tasty. Load-up on fresh fruits and get your fix of nutrients with one of the biggest smoothie chains in the United States. There are hundreds of Smoothie King locations across the country, and this brand makes for a great alternative to fatty junk food, sugar loaded beverages and salty snacks. If coffee from Tim Hortons isn’t your thing and you’re not interested in the McDonalds breakfast menu, then Smoothie King could be just what you need to start your day. Smoothie King was founded 1973. Steve Kahnau was the man behind the brand, and he created it as much for himself as he did for others. Kahnau worked in many fast food and beverage chains in his younger years, creating malts and shakes all day. Despite spending his days around these sweet treats, his intolerance for lactose — a sugar found in milk — meant that he couldn’t actually drink them himself. This is what inspired him to create his own milk-free shake, which came in the form of a fruity and nutrient-rich smoothie. This is what he sold in his Smoothie King shop, touting it as an alternative to fat and sugar loaded milkshakes. It proved to be a popular drink, and the idea caught on quick, making Steve a lot of money and taking his brand worldwide. Smoothie King began franchising in 1988, 15 years after its launch. It has grown steadily since then and there are now over 600 locations worldwide, many of which are in the United States. A healthy way to start the day and a great snack to boost those energy levels. There is a huge selection of smoothies to choose from on the Smoothie King menu. These come in a range of sizes and you can make your choice based on flavor, ingredients, nutrients, and even the impact that it has on your body. For instance, there are smoothies that can help to give you an energetic pick-me-up; smoothies that can help to support your immune system; smoothies that can give your brain power a boost; and much more. Whether you’re looking to give your health an overall boost, you’re looking to shake off an illness, or you want a protein and vitamin fix to help with your workout goals, you can find everything you need on Smoothie King. There are also snacks and supplements, all of which are geared towards the fitness and workout crowd. So, be sure to drop-in for a pre-workout or post-workout snack. 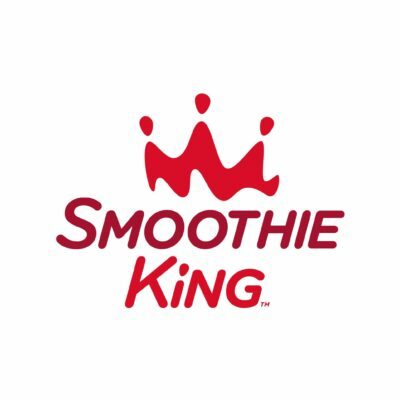 One of main reasons Smoothie King has been able to grow so steadily and perform so well is because of its award-winning franchise operation. Since the late 1980s, Smoothie King has been awarded the “Best Franchise” award by Entrepreneur Magazine 17 times and counting. Overall, it is ranked as one of the top 100 franchises in the country. It requires an initial investment that can be as low as $190,000 (with a $30,000 franchise fee). It also has an incredibly high success rate. Many franchisees get a return on their investment and a lot of attention is paid to these franchises. This ensures that each and every one of them has what they need to succeed. It doesn’t enjoy the sort of rapid growth experienced by the likes of Five Guys, Jimmy John’s and others. But it has a low rate of failure, and that’s what matters. Although the Smoothie King secret menu isn’t huge, there are some hidden menu hacks to explore. You could be forgiven for thinking that the Smoothie King secret menu would be similar to the Jamba Juice secret menu. These are two very similar chains after all, and two chains that offer more or less the same product. But that couldn’t be further from the truth. The Jamba Juice secret menu is one of the biggest on this site, one that even rivals the likes of the Starbucks secret menu and the Tim Hortons secret menu for size. However, while the Smoothie King menu is vast, the Smoothie King secret menu is a little on the short side. This is a disappointing to say the least, but we have sourced some secret menu items for you and you can find these on the Smoothie King secret menu page. If you know of any items that we have missed, be sure to get in touch and let us know. You can send us information, pictures, or anything else you think would be helpful. You can expect to pay more for a drink on the Smoothie King menu than you would for a similar sized drink sold at Dairy Queen or Orange Julius. But there’s a reason for that. Smoothie King beverages are not loaded with simple sugars and syrups. They contain stacks of fresh vegetables, fruits, herbs, seeds and more. All of which are blended together to create a delicate balance of flavors. It’s probably a little cheaper to buy the ingredients yourself and make your own drink, and there are many detractors who make a point of mentioning this. But the same can be said for all fast food items at all fast food restaurants. It’s not about saving a few cents. It’s about getting something fresh and fast, and not making a mess in your kitchen. That’s not to say that the Smoothie King menu prices are extortionate though. In fact, you can get a large smoothie packed full of all kinds of goodness for less than $10. If you want something smaller, you may only need to spend $5 or $6. To see more prices, read our updated Smoothie King Menu Prices page. This is updated regularly and reflects all current Smoothie King menu items. Chia seeds, yogurt, fruit — the ultimate healthy smoothie. Smoothie King is as healthy as it gets. Just like the Jamba Juice menu, the Smoothie King menu comes loaded with all kinds of healthy juices, drinks and more. There are options for vegetarians, vegans, gluten-free diets and many other special diets. In fact, most of their drinks (and there is a vast selection to choose from) are acceptable for customers on special diets, whatever those diets may be. There is a lot of sugar in these smoothies, and that’s something that you won’t fail to notice if you take a look at our Smoothie King Nutrition Info page. But all of these sugars are natural, coming from the fruit itself. You still have to watch what you’re consuming if you’re diabetic or otherwise sensitive to sugar. But it’s not the cheap, nasty hit that processed sugar provides. These smoothies come loaded with vitamins and minerals. Many of these are also provided by the fruits, vegetables and other ingredients. For instance, their Veggie Blends can give you everything from Vitamin C and Beta-Carotene, to Vitamin B6, calcium and fiber. If you are deficient in a particular vitamin, then you can find a solution on the Smoothie King menu and look to add this to your daily diet. If not, you can choose from any one of their nutrient-rich smoothies and give your body an extra hit of what’s good for it. Smoothie King can keep you fuelled all day long. Within a few years of opening the first Smoothie King location, Steve Kuhnau opened several more. Unlike many competing beverage chains, he didn’t focus on a single region and instead tried to spread things out. Within a couple of decades, the brand had spread into more than 30 states. And after 30 years, it opened its first international location. As of 2016 there are more than 600 Smoothie King locations all over the world. Just a small number of these can be found outside of the United States. Smoothie King is open 7 days a week. From Monday through to Friday, it typically opens its doors at 7:00am and closes at 9:00pm. On Saturday it closes at the same time but opens an hour or two later; and on Sunday it doesn’t open until around 11:00am and closes by 7:00pm. These times apply to the majority of Smoothie King locations, but they may differ by region. You can also expect these hours to be reduced during certain holidays.